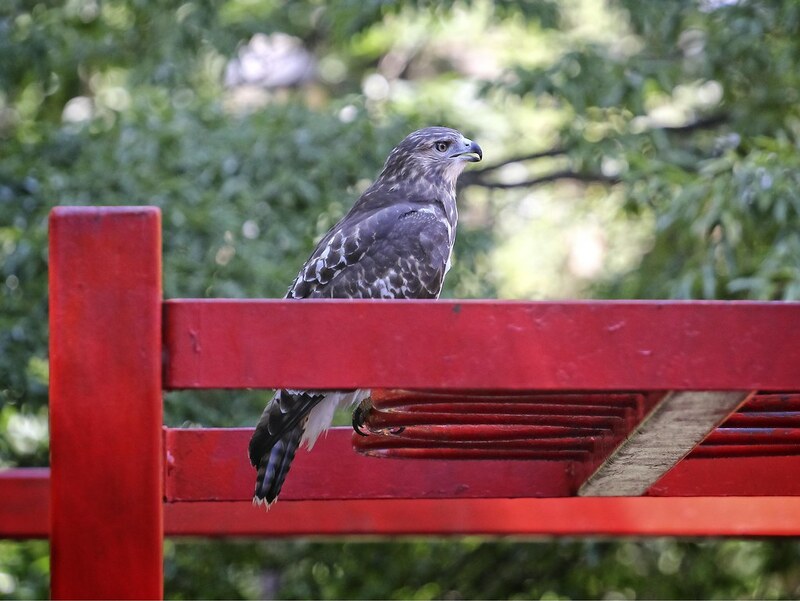 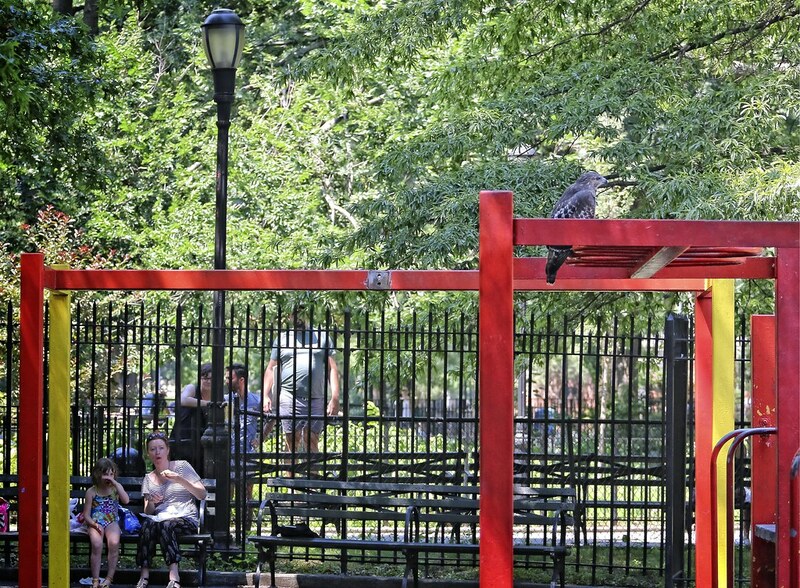 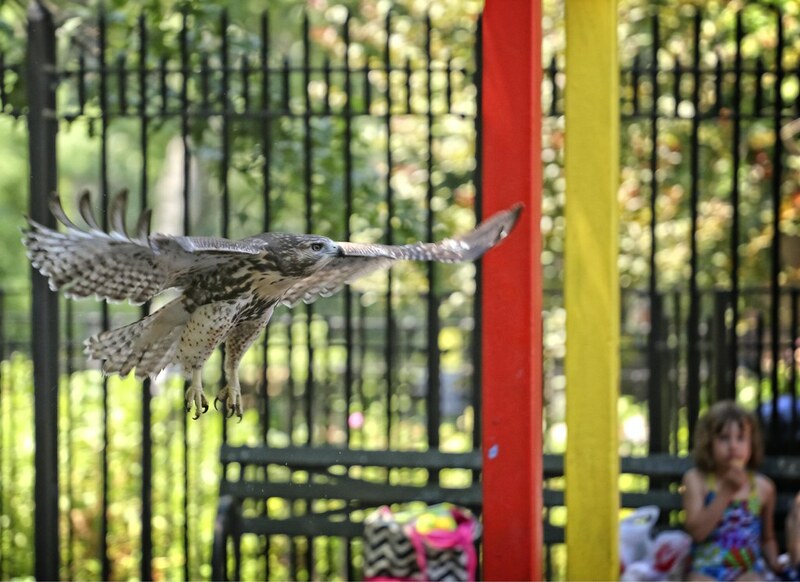 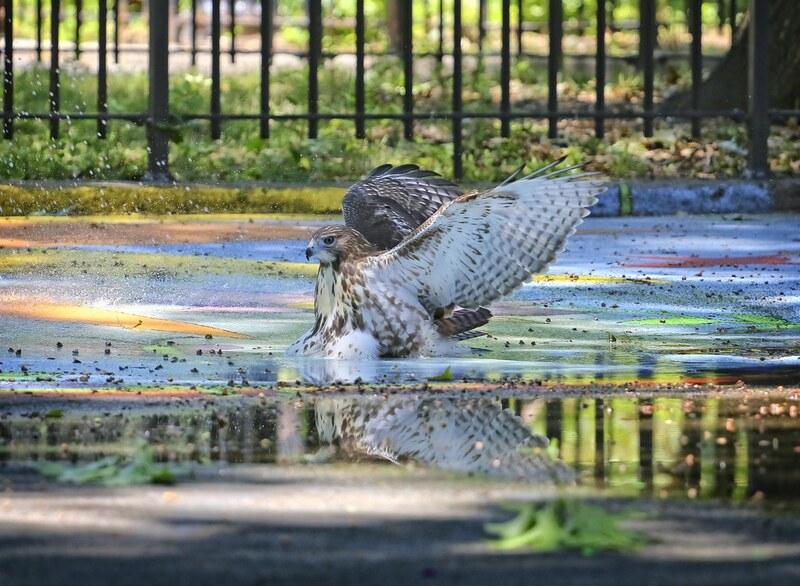 The Tompkins Square hawks love their day spas. 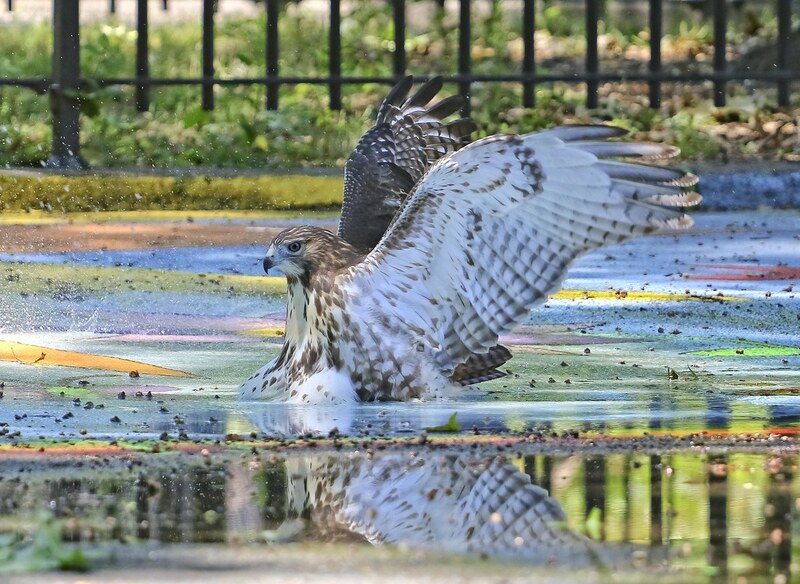 As we've previously witnessed, they enjoy playing in the sprinkler, soaking in the birdbath, bathing in the gutters at St Brigid's and taking a dip in the pool on top of the men's restroom. 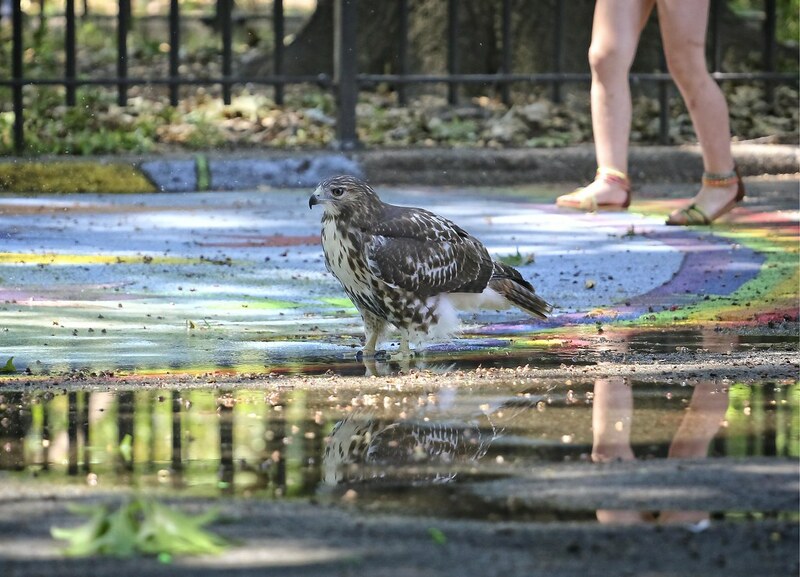 On Sunday, I caught up with one of the fledglings, who was cooling off in the sprinkler in the Avenue B playground. 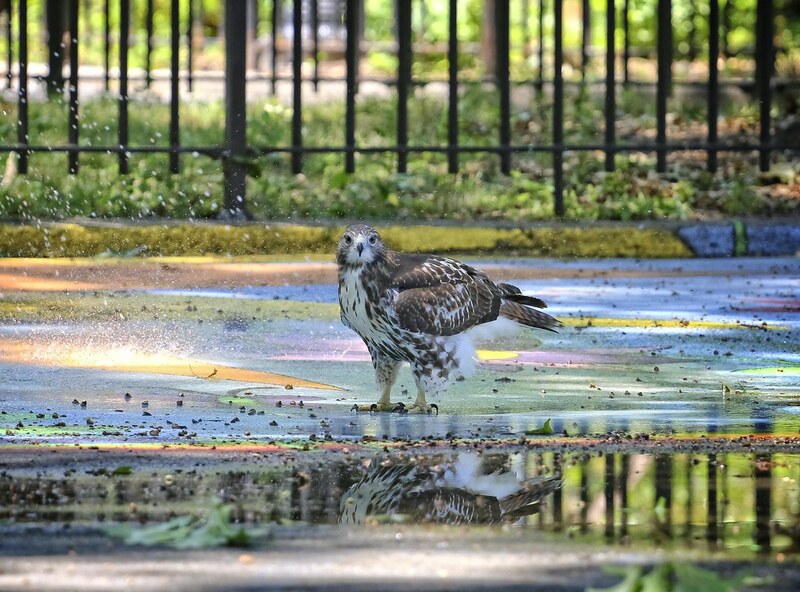 The fledgling took a liking to the puddle formed by the spray. 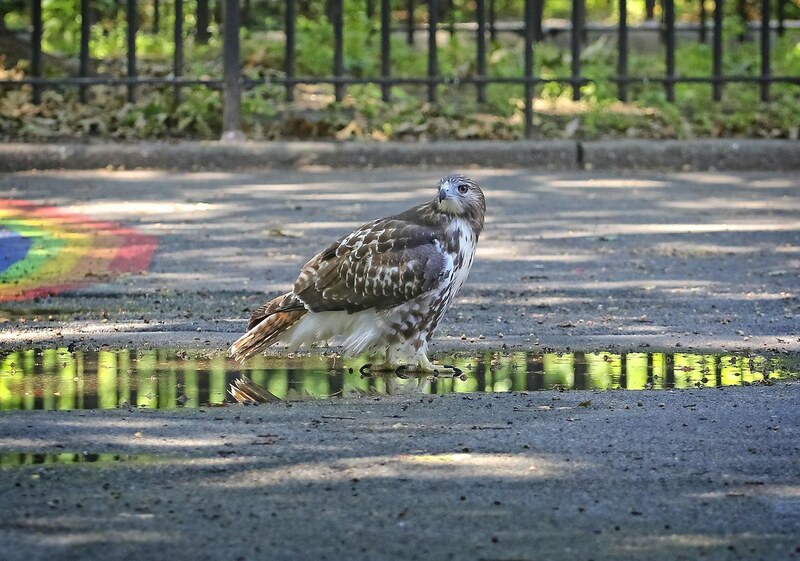 All rinsed off and looking pretty. 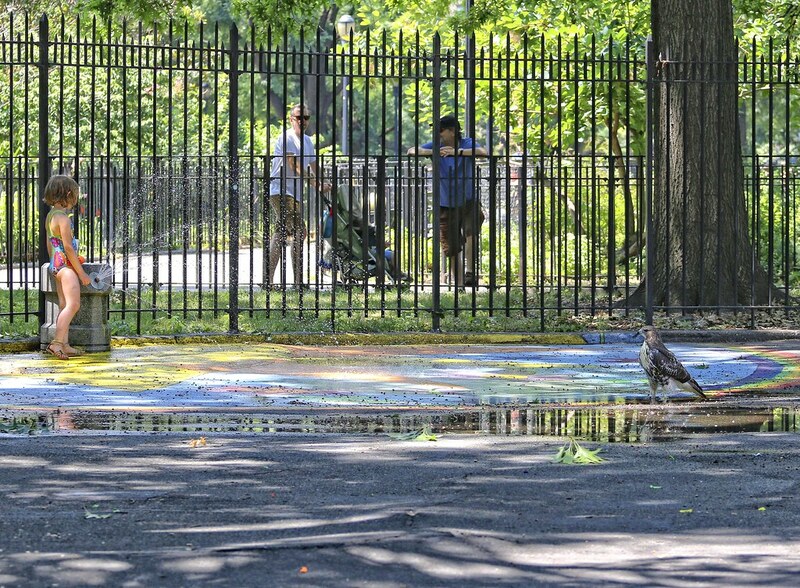 ...before spreading out on the crab apple at the north end of the playground to dry off in the sun. 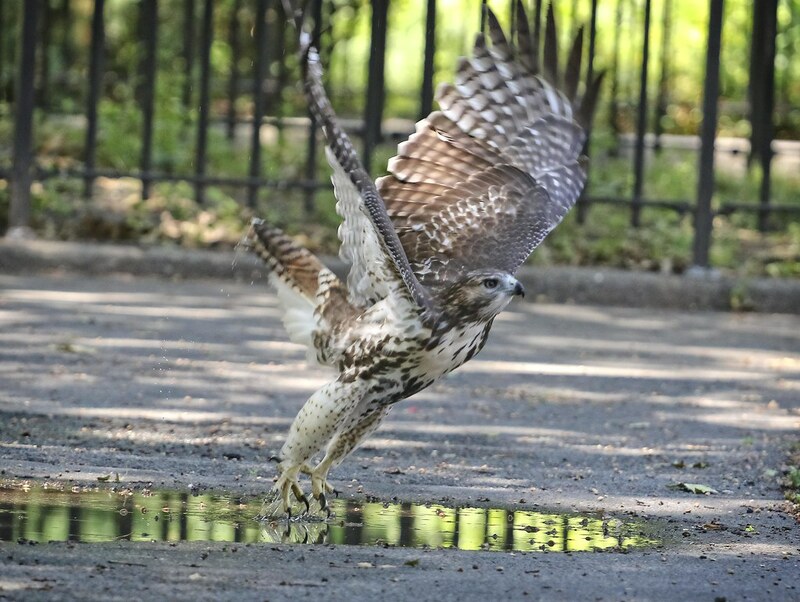 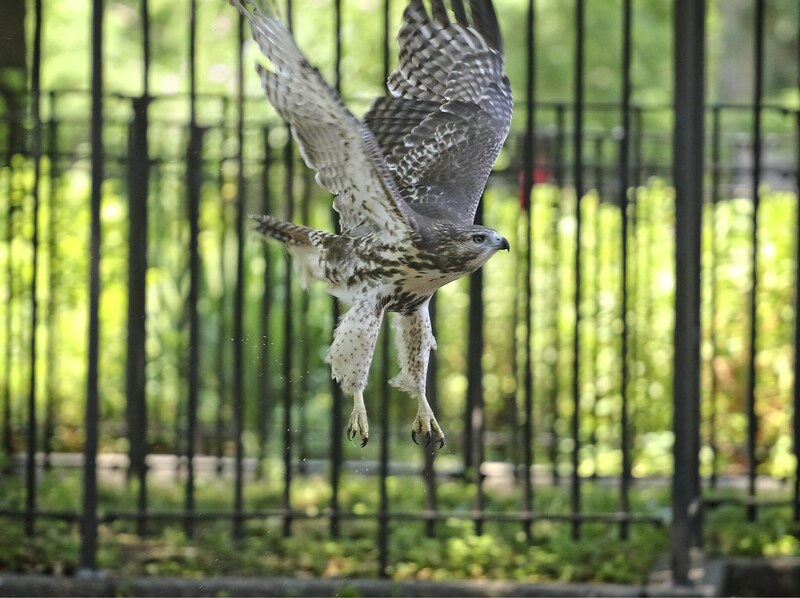 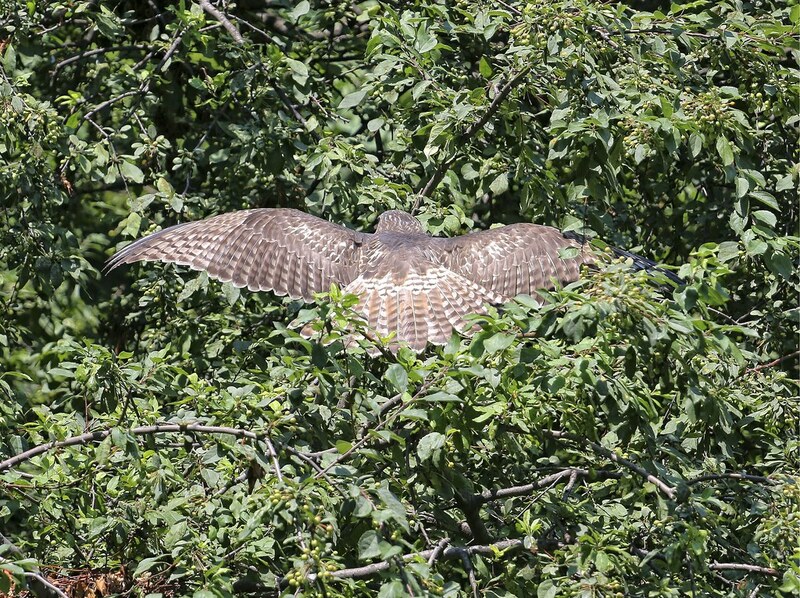 Also check out Urban Hawks, who has some video of the hawk bathing and later playing in the grass.